Get the party started with the BLACK+DECKER XL Blast Drink Machine! The extra-large 72-oz. blending jar comes with an insulated chill sleeve that keeps iced drinks cold for hours. Digital controls include four preset functions that create the perfect consistency for margaritas, daiquiris, shakes, and smoothies. Plus, the blade is fully integrated with the jar, and both are dishwasher-safe. The BPA-Free Eastman Tritan®clear plastic jar holds up to 72 oz. of all your favorite iced drinks and is virtually shatterproof! The one-piece jar with integrated blending blade is dishwasher-safe for easy cleanup. 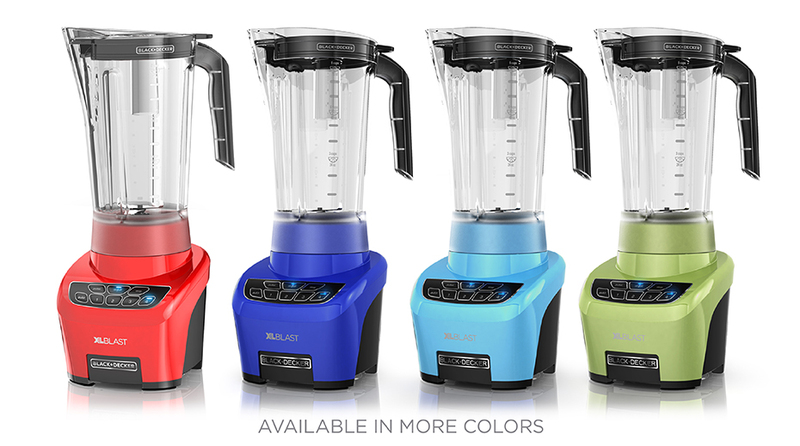 Four preprogrammed blend settings create effortless margaritas, daiquiris, shakes, and smoothies. The recloseable no-drip pour spout keeps the party going with fast pouring and less spilling. Bonus: the removable filler cap doubles as a 2 oz. shot glass! 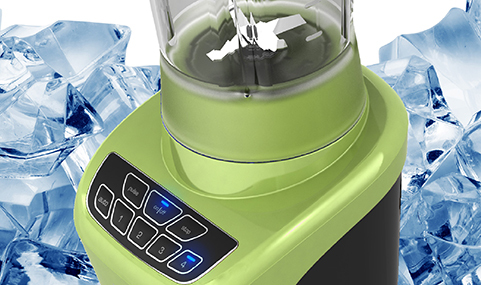 The powerful motor smoothly blends ice and frozen fruit in no time. 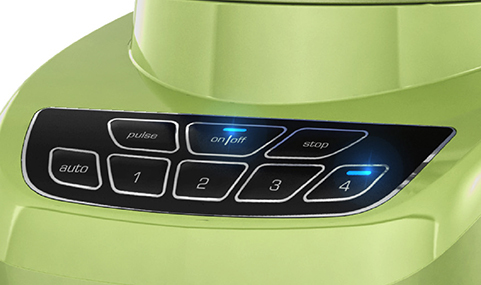 The one-push controls sit flush with the blender base so cleanup is fast and easy. XL Blast™ Drink Machine is rated 3.1 out of 5 by 7. Rated 2 out of 5 by Champ from Replacement lid is impossible to find. I've looked everywhere and cannot find a replacement lid for this. I really like the blender but I can't use it with a broken lid. The spout cover broke off shortly after my husband bought it and it wasn't able to be reinserted because the plastic broke off. The measuring cup top broke a few months after. If someone could help me find a replacement lid I would be most grateful because I like this machine except for this one little issue and I'd love to be able to use it again. Rated 5 out of 5 by ther from Great! This is a great machine for smoothies and shakes. It blends the ice quick and doesn't leave all of the huge chunks of ice. I bought this for myself because I like to make smoothies daily and this works so well for that! 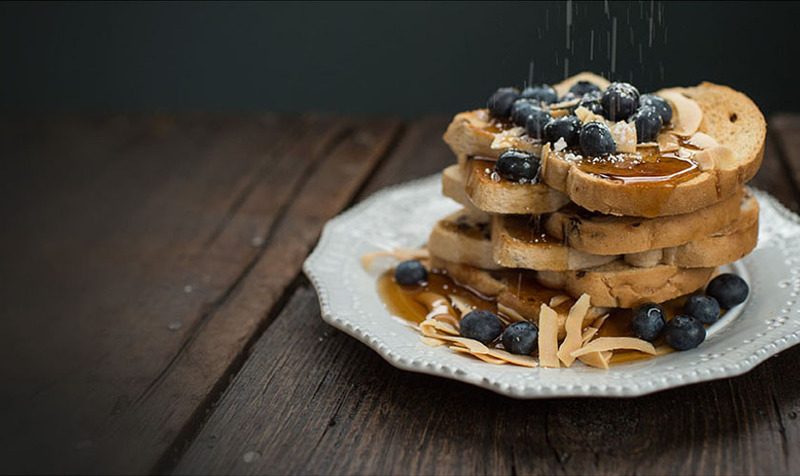 Rated 5 out of 5 by FloK from Love it! Bought as a birthday gift for my young-adult daughter; she uses it every day to make power shakes and smoothies; selected this one for the pre-programmed functions; only two buttons to press! And the clean up is easy, so she has no more excuses! Would recommend to anyone. Rated 4 out of 5 by Ekaps72 from Works great!!!! I have had my drink machine for a few months and absolutely love it!!!! Works great for breakfast shakes and margaritas and anything you may want!!!! I use my blender on the daily and have never had any issues!!!!! Rated 2 out of 5 by angijack from Would be great if they redesign the lid. Works great but disappointed in the lid. The removable shot glass is cheaply made and bad design. There are 2 small plastic tabs that hold it in place after you turn it. The first tab broke off as soon as I took it out to wash it before using. Now the second tab has broken off and now you must hold it in place while mixing. I am very disappointed. I am very careful with my things and this broke very easily. Rated 1 out of 5 by Tyler_v502 from Junk Id leave ZERO stars but it wont let me. Bought as a christmas gift. Used for the first time today 5/29/17 and the thing doesnt even work smells like the motor is burning up!!!! !